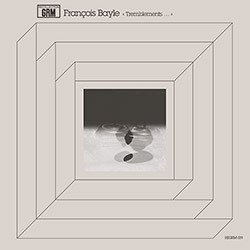 18 never-released recordings by French electro-acoustic composer Francois Bayle including the title track, an "imaginary" soundtrack, and a piece for Bernard Parmegiani, released on the 60th anniversary of Groupe de Recherches Musicales (GRM), which joined with Institut National de l'Audiovisuel in 1975 to create INA-GRM, with Bayle at the head of the record label. 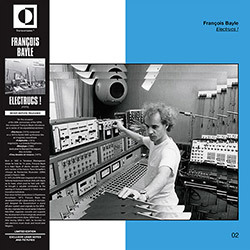 Electroacoustic composer Francois Bayle, a member of Pierre Schaeffer's Groupe de Recherches Musicales, and who worked with Stockhausen and Messiaen, in two 2-part compositions from 1978 and 1979, acousmatic music of mysterious sound sources that are presented with impressive pacing, tension and drama, using a rich and diverse palette of sound. 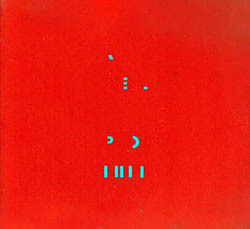 Two CD set of electronic and concrete compositions from German composer Riedl, with recordings from Siemens-Studio for elektronische Musik and Studio for konkrete Musik.